Hydra which is also called as THC-Hydra is totally a command line based program that is used to decrypt passwords from a lot of applications and protocols with the help of the dictionary attack and wordlists. THC is basically the abbreviation for “The Hacker’s Choice” and this is also the name of the company which developed and manufactured this software. You can now Download THC Hydra for Free! It is a corresponding login cracker which can be used to perform great attacks with the numerous protocols. It is very flexible and fast software in performance. People are also using Hydra to hack Facebook account passwords. The other quality of this tool is very useful and it is about the easy adding of the new modules. 1 What is THC Hydra? 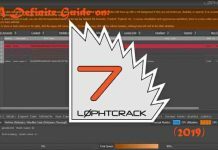 4 How to use THC Hydra Password Cracking Tool? The best thing about this software is that it is totally an English Language software and it can be used in almost every UNIX systems and also on Windows through the help of the Cygwin environment. The latest version of this software is also the subject of GPL version 3 available within the software. 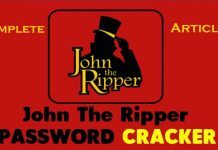 Another great alternative to Hydra is John The Ripper which is also a password cracker tool but is far more advanced. The most important and best thing that I found out in this software is that there are lots of other software that are used to decrypt passwords but none of them support more than the one protocol which is used to support parallelized connects or perform the attack. Such tools are used in password guessing attacks, for example, trying to find the wifi password of a wireless network. All of the UNIX platforms (including Linux, Solaris, *BSD and of course Windows as well). Microsoft Windows with the Cygwin (including both IPv4 and v6). Also read: DBAN Free Download. However, the module for all new services is very easy to use so it wouldn’t take a lot much time until all of the services are supported. This tool is totally proof for the concept code which is good to give the possibility of easiness to gain unauthorized access from remote to a system by researchers and consultants. How to use THC Hydra Password Cracking Tool? This software is very easy to use. If you enter “hydra” only a short summary of the very important options will available and displayed. And to see all the available command line options you will have to enter “./hydra -h”. 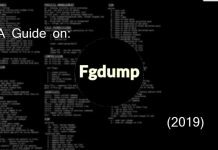 This software is totally command line based so you will have to learn all of its commands to completely use this software. I recommend you watching a THC hydra tutorial on Youtube to get to know this great brute force tool. Read: Wireshark Download For Windows. So, that was all the information about the THC-Hydra Password Cracking Software Free Download. In this guide, we learned about this software and we came to know about all of the basic information about this software. I would like to warn you that this guide was only for the educational purposes and it shouldn’t be used to harm someone or harm that person’s property. I would also suggest you to try the Metasploit Pro framework to learn more about various types of hacking and attach methods. It is very easy to install on all major OS including Windows, Linux, and Mac. Disclaimer: Please use this tool at your own risk. We have only provided it for educational and informational purposes. Version: 8.6 (Latest as of March 2019). THC-Hydra is a solid password cracking tool used to brute force login details! It is the most advanced tool of its kind and is recommended.